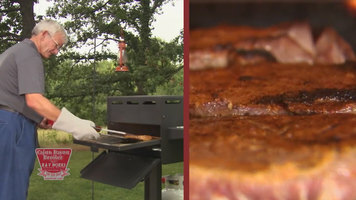 Introducing the Cajun seafood boiler by R&V Works. All originally developed as crawfish boilers, these products were quickly embraced by backyard chefs throughout America for a variety of other applications, including low-country shrimp boiler, crab boils, boiling peanuts, and even sweet corn boils. They're also excellent steamers for steaming mussels, clams, and lobsters. Handcrafted in Louisiana out of durable, 3/16" thick aluminum, these propane-fueled outdoor cookers are the safest way to boil or steam large quantities of your favorite foods. The hinged rotating basket design easily transfers the hot boiled or steamed foods into the sturdy, hinged lid that acts as a chute to safely guide the food into a cooler or serving container positioned below. This feature eliminates the risks associated with traditional boil pots, such as removing heavy baskets of food from the pots of boiling water. The basket in the Cajun seafood boiler is easily removable for quick cleaning, and the pot supports a large, 1.5" drain valve for easy draining and removal of food pieces. Also included is a large, aluminum stirring paddle. The boiler stand is constructed of aluminum to prevent rusting and rolls easily on solid 8" tires coupled with rotating casters for the best portability on the market. Cajun seafood boilers are currently available in 2 sizes. A single boiler and a double boiler. The single boiler holds 15 gallons of water and will boil or steam up to 40 lb. of food. Or, as we say down in Louisiana, 'one sack of crayfish plus all the fixings.' It's heated by 2 powerful jet burners capable of producing up to 192,000 BTUs of heat. The double boiler holds 30 gallons of water and will boil or steam up to 80 lb. of food, which is 2 sacks of crayfish plus all the fixings. It features 4 powerful jet burners capable of producing 384,000 BTUs of heat. Both models will reach an initial boil in 22 to 25 minutes and provide exceptional recovery times between batches of food. Both models also come equipped with front and rear wind guards. This industry-first feature allows the Cajun seafood boilers to come to boil faster and recover faster in-between batches by holding heat against the pot. No matter what you're planning to boil or steam, R&V Works has a Cajun seafood boiler to simplify your large capacity cooking needs. Preparing large quantities of steamed or boiled product can be a hassle, but with the Cajun seafood boiler from R&V works, the task is easier than ever! From convenient wing guards to powerful jet burners, the boilers are designed for ease of use and maximum efficiency, perfect for food service operations specializing in seafood. 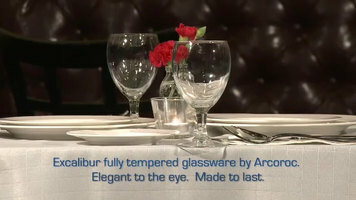 Need reliable, sturdy glassware for your establishment? Try the Excalibur collection from Cardinal! 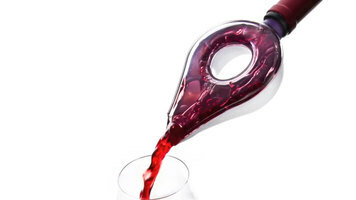 Make your favorite wine taste even better with this Vacu Vin aerator. The aerator adds oxygen to your wine, which increases the taste, and opens up afterwards for easy cleaning. Create meals with unmatched flavor and juiciness with the Cajun Bayou Broiler! Using an overhead flame, fire bricks, and burner, this professional-grade broiler will lock in fire-kissed flavors and create a quick charred outer surface to your foods.